The trailers or trucks to transport the crop from the field. LinkExchange SearchMe WhatWeDo AboutUs Sitemap Next page Trucks, with a discharge conveyor. Trucks, with a discharge conveyor. Trucks for transporting onions or potatoes from the field. 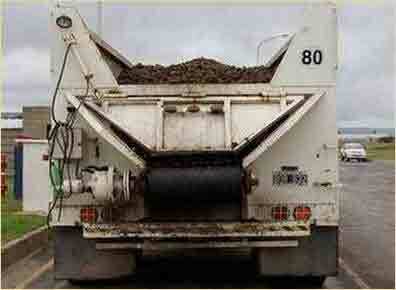 Truck with rear discharge conveyor. Receives the produce from the truck in a controlled manner. Pre-cleans the produce, separating clods, stones, leaves, etc. from the onions or potatoes. 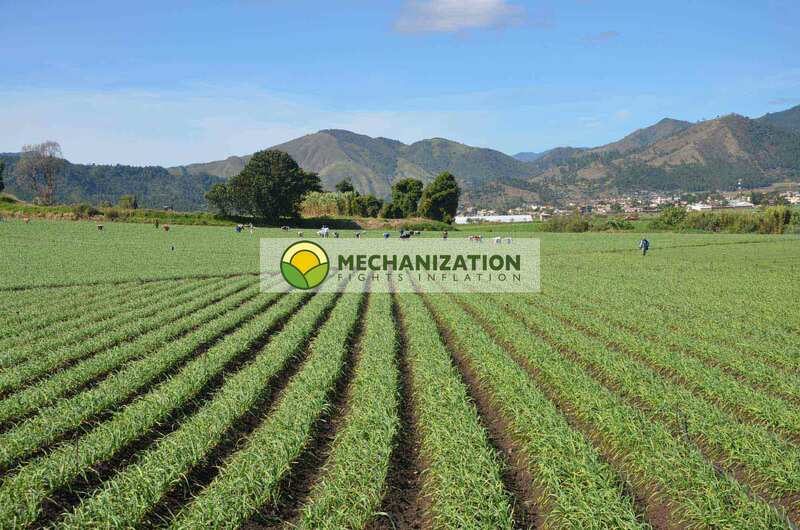 Creates an adjustable flow of produce, to fill the storage facility in a controlled manner. 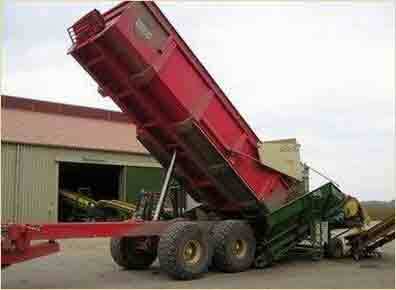 For more details on these bulk unloaders for onions, potatoes and many other products, see: Bulk unloader. This type of truck comes in many shapes and sizes, but they all have the same machine inside, which protects the produce from damage and ensures a smooth, uniform unloading. For more information about the details of a truck with rear discharge conveyor, read this: Trucks with rear discharge conveyor. Photo above: Truck with discharge conveyor in the forecourt of McCain Argentina. Into a bulk facility, using a tipper truck. Into a box facility, using trucks with discharge conveyors. Next up: Trucks, with a discharge conveyor. In general, tipper trucks are used to fill storage facilities, whilst trucks with discharge conveyors are usually used for filling box storage facilities.